Ready for a healthy relationship? helps provide psychological and emotional relationship support for couples who are together, but feel alone. 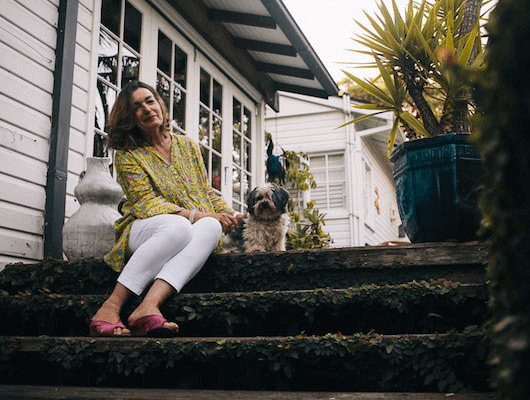 Located in Sydney’s northern beaches, Amanda Woolveridge Counselling is a private space that welcomes a diverse set of relationships looking for acceptance, guidance and support. Choosing the right counsellor for you will be the first step towards overcoming your obstacles and returning the spark to your connection. My work is characterised by empathy, compassion, collaboration, and most of all, optimism. If you are interested in discussing your unique relationship needs, or would like to schedule a free 10 minute phone consultation, please reach out and contact me. 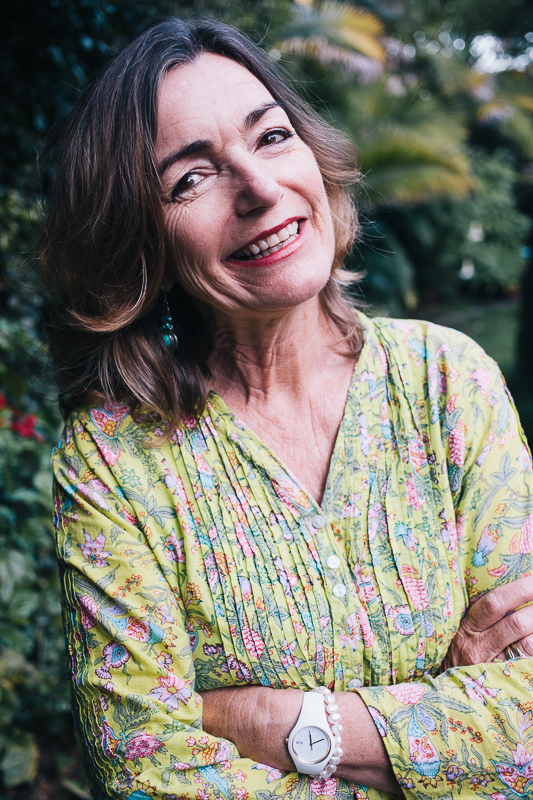 I am an Avalon counsellor, psychotherapist and relationship counsellor in private practice on the northern beaches of Sydney, with over 20 years experience. I work from my consulting room in a tranquil garden setting, which clients frequently describe as safe and welcoming. I feel very privileged to meet with couples and individuals at stressful points in their lives and join with them in finding some comfort and new understandings. Do you long for the shelter of a loving relationship? Over time, relationships may be subject to pressure both internally and externally. Feelings of disconnect or resentment may build up, clouding the way you long to feel. Relationships are powerful. If there is a sudden or gradual shift it can be challenging to get back on track - leaving you feeling miserable. Ending your relationship may not end your problems, instead, you may carry a suitcase full of baggage to your next relationship and start all over again. Relationship counselling helps you understand your partner, improve your skill set, and can turn around the most troubled relationship. I am passionate about helping couples find the underlying cause of their distress, and helping to bring about calm, peace and love once again. Does it feel as though your partner isn’t listening to you? Voicing a feeling, only to be unheard, is a common challenge to be worked through during counselling. When one partner feels unheard, or ignored, they typically return the same behaviour. The result is a lose-lose scenario where neither party is getting what they need from the relationship. Speaking openly, and being heard empathetically, is at the core of a strong relationship. I will show you how to re-open lines of communication and to develop the listening skills required to remove yourself from unhealthy patterns and move forward with open ears and an open heart. Do you feel as though you’ve neglected your relationship? With an active lifestyle, kids to look after, or the stress of a busy household, it is easy to forget to prioritise your relationship. Relationships need nurturing and emotional nutrients, with time and energy needing to be invested to ensure a loving and warm connection. If you or your partner feel as though your relationship has taken a back seat, I can help get you back on track. Are there unresolved conflicts that won’t go away? Relationship conflicts are natural, but when these conflicts remain unresolved they begin to fester, causing resentment and hindering a loving and open connection. If you approach your conflict rationally, and with empathy, you are problem solving. But when two parties are convinced their viewpoint is the only one, this stalemate isn’t just frustrating, it can become a roadblock, stopping healthy communication from both parties. The skills required to solve conflict in a reasonable time are not out of reach. With time and effort they may be learned, therefore avoiding hidden resentment, which is a primary cause of loss of love as years pass. Have you experienced a betrayal or an affair? When a partner strays from the relationship and develops an intimate connection with another person, the result can be devastating. When monogamy is destroyed, the resulting pain may feel too much to overcome. Relationship counselling can assist you through this difficult time, working through the acute feelings you are experiencing. While it may not feel like it, I can help you find a loving relationship with your partner, in many cases better than the one you previously had. Divorce is not the inevitable outcome of an affair. With relationship counselling, time, and a genuine willingness to heal, many of my clients have emerged from infidelity stronger than before. Relationship counselling can solve a variety of issues that are holding you back from a loving and fulfilled relationship. If problems are not identified and resolved early, they can spiral into major crisis points for you and your partner. It is common to begin relationship counselling asking complicated questions like ‘Can my marriage be saved?’, or ‘We’re not sure how to move forward from here’. Ultimately, your ability to move past the obstacles in your life will flow back to your commitment to counselling, your enthusiasm to move forward, and your desire to put in the work. While most couples come to relationship counselling to address the changing nature of their connection, for too many the time it takes to reach out for support comes too late. When you bottle up the negative feelings you have towards your partner, you deny them the opportunity to make changes. Relationship counselling offers a supportive, non-judgemental and safe environment to express grievances and discuss your feelings. As your relationship counsellor I provide the approaches, strategies and tools to move past the roadblocks that are impeding your progress as a couple. A non-biased and objective third party can help you approach your challenges from a fresh perspective. In my work I will encourage and allow you to voice your honest opinions and emotions in a healthy and constructive way. Relationship counselling is not about point scoring or winning, but fostering honesty and transparency from both partners to find a resolution that brings you closer together. Typically, conflict stems from a lack of communication. Improving upon or developing new communication skills is at the heart of successful relationship counselling, with communication and trust walking hand in hand. Relaxed and neutral environments are required for couples to be open about their desires, goals and objectives. These environments allow for support and respect. If your relationship has made it a challenge for you to find a relaxed common ground to communicate with your partner, my consulting room can help. Together we will identify the issues that are causing negative communication, these may include the blame game, threats, and an inability to listen, and offer solutions to communicate openly and freely. Many couples worry that the progress they make during relationship counselling will falter, or even be reversed, once they return home. However, problem solving becomes easier after counselling. Through understanding one another on a deeper level you are able to restore intimacy and feelings of warmth and affection that will remain with you after your session. Motivated couples use new perspectives to solve their problems. Through newly developed conflict resolution skills you and your partner are able to rebuild your connection and re-commit to one another long after you leave my consulting room. Taking the first step to attend counselling can be a challenge. If you choose to go ahead and book a counselling session we’ll arrange a time that’s suitable to you and your partner (if applicable). As a safe and transparent space my consulting room is private, tranquil, and completely confidential. With your privacy my priority, there are no notes unless requested, with any notes taken yours to access at all times. As an experienced counsellor it is my goal to equip you with the skills to overcome your obstacles in the real world, not to stay in the cycle of counselling long-term. I work with couples who are experiencing negative and destructive patterns of communicating and help them develop the skills for forming and maintaining healthy and loving relationships. I also work with couples who have committed to a relationship and want to learn how to make it work as well as they can. Whether you and your partner are arguing more often, find your relationship has lost its spark, or there is a major difference in opinion across cultural, racial or financial aspects, couples counselling can help you reconnect with your partner and in many cases leave with a stronger bond. Developed from Thought Field Therapy by psychologist Roger Callahan, this is an energetic therapy which uses our body’s energy system to release blockages created by negative thought patterns. We release these by tapping on acupressure points throughout the body, rather like ‘do it yourself’ acupuncture, without the needles. I have been doing EFT with my clients for 14 years and many report feelings of immediate relief as well as the reassurance and comfort that comes with knowing you have a tool you can use any time you need it. I can help you to free yourself from unhelpful beliefs, habits or negative thought patterns with the use of Ericksonian hypnosis. This method allows us to create a script together, using words and phrases that have meaning for you, facilitating a way to loosen blocks you may have to change or to help with pain management. Hypnosis allows us to engage fully with your mind, bringing the underlying causes of relationship dysfunction to your conscious awareness, where we can work towards resolving them. I offer meditation practice and instruction for those who are interested in learning more about themselves and who wish to foster an increased ability to self soothe and relax, using various breathing techniques. Creating awareness of your surroundings, meditation encourages you to see your partner’s needs more clearly, helping you work towards common ground. Teaching forgiveness, developing gratitude, spreading positivity, and bringing contentment, meditation can help keep you connected with your partner. I have extensive experience and training in many areas of the counselling field, however my speciality is working with individuals who are experiencing relationship pain, whether with partners, or with various family members or even within friendships. Providing insights into the dynamics of your relationship, learn to apply an assertiveness that takes care of both your needs and the needs of your relationship. When relationships become unbalanced, it can be beneficial to attend a session on your own. Psychotherapy offers you the chance to understand how your current problems stand on the shoulders of your history, in your family of origin relationships and throughout your childhood and young adult life. It gives you the chance to uncover patterns and themes that endure to this day and contribute to the triggers you experience in your relationship with others. Reduce stress, feel better, and work towards achieving your personal goals. Amanda’s warm and reassuring manner, coupled with her depth of experience in a broad range of therapies, makes her an easy recommendation for my patients. Amanda is able to empathise and engage across a wide range of problems individuals and couples bring to her. I have no hesitation in recommending her. What Amanda has done for me over the last two years has been nothing short of amazing. Her therapy style is built on a foundation of real connection, trust, compassion, empathy and true friendship which we have developed over the time. She has helped me navigate the toughest situations in my life by providing a safe space where I can voice my thoughts, share a tear with, bounce ideas off and get honest feedback without any fear of judgement or ridicule. I am so thankful to have her in my life and couldn’t recommend her highly enough to anyone. What is marriage and relationship counselling? Marriage and relationship counselling looks to identify and solve the relationship challenges between a couple, or to enhance their existing relationship. The underlying goal is to bring two people closer together, to improve connections, build communication skills, and equip people with the skills to work through their future challenges as they arise. When the existing bond between two people is strengthened, couples become a team, and not individuals. Change is always possible when there is motivation and a genuine desire. Relationship counselling provides the support, strategies and solutions you need to move forward as a couple. Through showing you the root of your problems and giving you the necessary information to move beyond them, relationship counselling is the positive approach every couple deserves. Do we attend as a couple or individually? It is beneficial to attend the first few sessions together. This will allow me to hear your story together and understand the dynamic of your current relationship. Following this we may explore individual sessions, however it is important you do not feel I am aligned to one partner more than the other, with couples sessions at the heart of your success. Counselling sessions are safe and warm spaces for you and your partner to work through your unique challenges. Typically, both parties will be offered a chance to verbalise their problems and the issues they see as relevant. From here I will work with you to resolve the issues you identify, as well as provide additional insight as to what dynamics are driving these issues, and any further issues I see as impactful. Working always towards a win-win approach that leaves both parties feeling understood and satisfied, each session provides an opportunity to be heard and to feel that your problems are a priority. Typically, the average number of sessions sits between 6 and 8. However, this figure may vary with each couple and individual different. It is ultimately your decision as to when you feel you have achieved all your relationship counselling goals. Is it too late for relationship counselling? If you feel stressed, exhausted, or at the end of your rope, it can be a challenge to commit to relationship counselling. This is why it is so important to take action and lean on the support and guidance of an experienced counsellor before it is too late. However, most couples do not want to split up and would prefer to find a win-win solution. I offer a way to move forward, without exhausted and stressed partners feeling they will return to the problems following counselling. In almost all relationships there are aspects worth celebrating and savouring. Offering targeted help you only need to take the first step towards a better relationship. Can relationship counselling help sexual problems? Sexual problems may be the result of physical problems, anxiety driven problems, or relationship problems. Relationship counselling is able to work through sexual problems, such as mismatched libidos, or a decrease in sexual attraction. I’ve had a bad experience with counselling? Should I try it again? Many counsellors attempt to develop their own techniques which end up doing more harm than good. Couples counselling requires extensive training and experience, applying proven therapeutic principles that have been carefully developed and refined. If you have experienced poor counselling in the past, you are still able to experience the benefits of counselling in the future. You should always chat to your preferred counsellor before you commit to a session. With this in mind I offer free 10 minute phone consultations to help you find out if I am the perfect counsellor for you.